We're Headcase Audio, providing top quality OEM grade replacement Ear Pads and Accessories for Bose, Beats, Sennheiser and Parrot Zik headphones. We're inspired by our customers. If you need a part that you don't see on our page, reach out below and make a request. We'd be happy to hear from you. We have a mission to shake up the status quo by providing exceptional customer service combined with unique audio replacement products that exceed the performance of OEM products. All products come with a money-back guarantee, free domestic shipping and a 90-day unconditional warranty. We're always looking for ways to improve so we greatly value your input. Please leave your feedback below, or by sending us a note by clicking on the Contact button above. 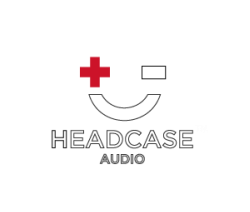 Headcase Audio: Crazy good sound, supported by exceptional customer service.